This article considers a recent critical problematisation of the discussion of ›Otherness‹ in Merovingian archaeology, and extends this problematisation to the early mortuary archaeology of post-Roman/early Anglo-Saxon England. 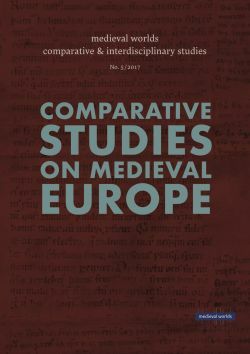 The article first examines the literary goals of Gildas’ De Excidio et Conquestu Britanniae, and especially its representation of military activity, to reject popular arguments that Gildas’ conceptual framework described the emergence of an authentic, ›post-colonial‹ British ethnic consciousness that was grounded in a conscious rejection of Romanness and separation from a ›Germanic‹, barbarian other. The article then examines the early Anglo-Saxon cemetery of Wasperton, Warwickshire, and rejects previous interpretations of the site, which argue that its inhabitants expressed in burial the ideological demarcation of Romanness from a Germanic ›Other‹. Drawing upon the distinctions made by Gildas between legitimate and illegitimate military authority and the clear use of symbols of military ideology present at the site, the article suggests that such sites instead offer evidence for the material expression of a new military ideology which, though deviant from the normative expectations of civic Romanness, was primarily drawn upon by the inhabitants of early Anglo-Saxon England to make appeals for the inclusion of the deceased as key members of their communities.